Blue Cash Preferred® Card from American Express (American Express is a CardRatings advertiser) is one of the most popular cards with our readers because of the generous cash back for everyday purchases. In fact, its popularity earned it a 2019 CardRatings.com Editor's Choice Award for Best Credit Card for Families. an opportunity to earn $200 bonus cash back when you spend $1,000 in the first three months. Blue Cash Preferred® has a $95 annual fee (See Rates and Fees) attached to the membership, but don't let this deter you. Think of it this way: if you spend $1,585 at U.S. supermarkets annually, at 6 percent cash back you've already covered the annual fee (6 percent x $1,585 = $95.10)! If you’re an avid card user, the high rewards percentages allows you to quickly offset the annual fee, assuming you use your credit card for the categories honored by American Express like supermarkets and gas stations. Earn a $200 bonus statement credit after you spend $1,000 in the first three months. The 2019 Editor's Choice pick for Best Credit Card for Families and it made our Best Cash-Back Rewards Credit Card list. Earn 3 percent cash back at U.S. gas stations. And, 1 percent cash back on other purchases. This is a great card with outstanding benefits for those who spend a lot; however, if you don't spend a lot at U.S. supermarkets you may have a difficult time offsetting the annual fee. If this is you, consider the no annual fee version of this card, Blue Cash Everyday® Card from American Express. The bonus categories aren't rotating so the cash back-eligible businesses are predictable. If you're more of a set-it and forget-it type of person who doesn't want to have to worry about activating bonus categories and missing out on extra rewards, this card is perfect - especially if you regularly spend money at supermarkets and gas stations. We love the high-rewards rate, and the simplicity of the rewards program. The high rewards rate in the supermarket category lends itself to a unique opportunity cardholders may not think about: cash back for gift cards. Many supermarkets have racks filled with gift cards for popular restaurants and stores that may not fit within the American Express categories, but a gift card can be purchased at a supermarket, with the 6 percent cash-back rate. This concept is the definition of using credit cards as a tool. Read the fine print. Some stores that may seem like "supermarkets" may not actually qualify for the rebate. Wholesale clubs, superstores and alcohol retailers are typically the culprits for this confusion. This rewards card is excellent for particular categories. But if you’re a traveler who uses airlines frequently or a fine restaurant dining connoisseur, you may be missing the boat with the rewards offered with the Blue Cash Preferred® Card from American Express. If this is you, an excellent alternative is Chase Sapphire Preferred®. This card is not great for traveling abroad. Cardholders will miss out on earning points valid for airline miles, hotel rooms, and other travel related purchases by using the Blue Cash Preferred® Card from American Express over a credit card specific to travel rewards. And using this card internationally will come at a price. Foreign transaction fees for this card cost 2.7 percent each time you swipe your plastic abroad, which can really add up. 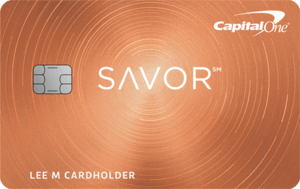 That said, doubling up and having a card that you use for supermarket and gas station purchases, and another like Chase Sapphire Preferred® or the Capital One® Venture® Rewards Credit Card for travel can help you optimize your different types of spending. Citi® recently rolled out an industry-changing program: Price Rewind (Citi is a CardRatings advertiser). Consumers are able to make purchases with their Citi® card and then ask Citi® if they’ve received the best deal. If they haven’t, Citi® will refund the cardholder the difference from what they paid, and the best deal. Couple that deal with the Citi® Double Cash Card - 18 month BT offer (1 percent on purchases, and 1 percent when you pay it back) and you’ve found a competitive card. If your spending patterns don’t align with the categories Blue Cash Preferred® Card from American Express offers, or if you shop online frequently, Citi® Double Cash Card - 18 month BT offer may be a better card for you. 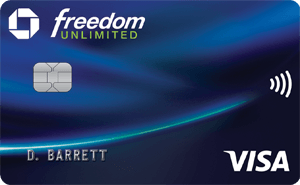 Furthermore, there's a nice 18-month 0 percent balance transfer offer with this card (then, 15.74% - 25.74%* Variable). Chase Freedom® offers 5 percent cash back for quarterly rotating categories. Crunch the numbers to see if 6 percent cash back at supermarkets or 5 percent cash back from restaurants or gas or any other future categories mean the most cash back for you. These American Express cash back cards offer similar benefits: the rewards categories are identical even though the earn rates are slightly lower (3 percent at U.S. supermarkets (up to $6,000 spent annually, then 1 percent) 2 percent at U.S. gas stations and 1 percent on all else), and the ancillary perks of being an American Express member are similar. The decision between which of the two offers is right for you will boil down to how much you use your card. Blue Cash Everyday® Card from American Express does not have an annual fee (See Rates and Fees), so if you spend less than $50 a week on your credit card the Blue Cash Everyday® Card from American Express makes more sense. Spending over $50 offsets the annual fee for the Blue Cash Preferred® Card from American Express, and the higher rewards rates will be more beneficial to you. Blue Cash Preferred® Card from American Express is great for anyone who spends frequently at gas stations or supermarkets: Think soccer parents toting kids to and fro while simultaneously ensuring they have a home-cooked meal to keep their energy up or if you’re a do-it-yourself foodie or if you spend a lot of time in your car, this card is also great. One of the best card available out there. Cashback potential is just huge and love their customer service. Annual Fee is only negative point but it doesn't hurt if you plan it to use enough to offset annual fee. Also their promotional offer is great. Not sure how long will it last.